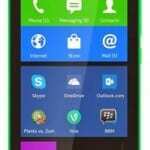 Nokia’s flagship Android phone, the Nokia XL is now available in Nigeria. You can now buy the brilliant and affordable 5-inch smartphone at leading online stores in Nigeria like Konga and Jumia. Nokia XL supports dual-SIM (micro SIMs) with a 5 megapixels rear camera and a 2 megapixels camera in front. Nokia XL offers Android with Microsoft and Nokia Services on top. It runs on a forked version of Android based on the Android Open Source Project (AOSP) supporting up to 75% of current Android apps. It features a Tile based UI similar to some extent to the UI of Windows Phone. Nokia XL is powered by a 1GHz dual-core processor and promises a smooth performance with 768MB of RAM. Nokia XL supports fast 3G internet for seamless video streaming and fast downloads. It comes with 4GB storage, which you can extend by up to 32GB via microSD memory card. You can also store to the cloud on Microsoft’s OneDrive. 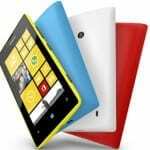 Nokia XL is available in Cyan, Yellow, Black, White, Bright Green, Bright Red colours (all colours may not be available in Nigeria) with solid battery life. You can now buy Nokia XL online or at a phone store near you. If you are wondering the features of this smartphone, read our Nokia XL article. 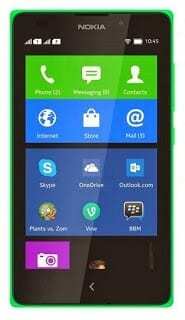 Nokia XL price in Nigeria currently ranges from N27,500 to N33,000.